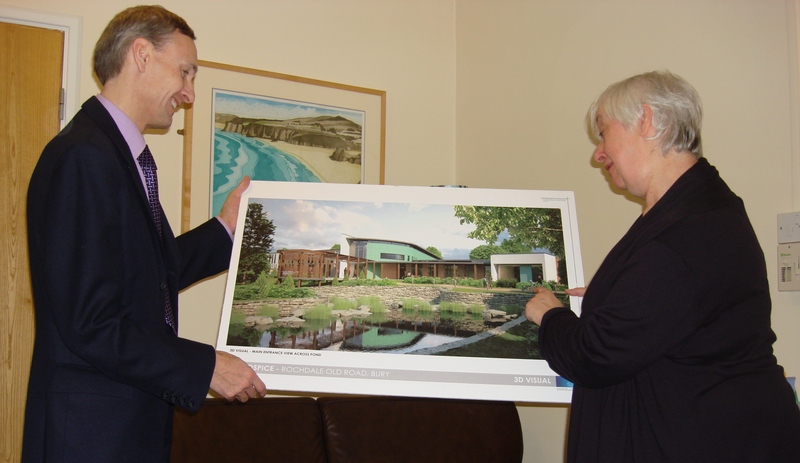 I visited Bury Hospice this morning to discuss their plans for a new Hospice building. The proposals are ambitious and a great challenge for everyone involved. I met with the Chief Executive Elizabeth Houghton who always impresses with her enthusiasm for the work of our town’s Hospice. This entry was posted in Local Organisations and tagged Bury Hospice by David Nuttall. Bookmark the permalink.